Brisbane, so I suppose I could leave now. Ha! runs to CVS and Lowe's for the remainder of the pack. receive a reply from Eva a little over an hour later. letters say, one is in Tok Pisin and the other is in Kuot. boat at some point during my trip. bag at the hotel. Chill a bit and stroll the CBD. Sat., 3/31 Free day in Brisbane. Sun., 4/1 Air Niugini flight to Port Moresby. Overnight in Port Moresby. 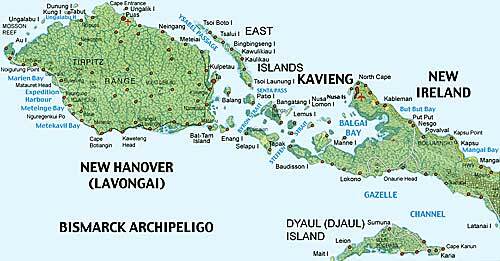 Fri., 4/13 Return to Kavieng. Nusa Island Retreat tonight. Sat., 4/14 Free day Nusa Island. Sun., 4/15 Air Nuigini to Port Moresby. Mon., 4/16 Day trip to Owers Corner, start of the Kokoda Trail. Tue., 4/17 Early morning flight to Brisbane. Overnight Brisbane. 10:30pm(too bad there isn't a scheduled train to Schenectady this evening). A very long day. Two actually.